Upstart search engine Blekko is posting some decent growth after a few months on the market. The site tells Search Engine Land it had 30 million search queries from “a couple of hundred thousand uniques,” for January. Last we heard from Blekko back in November (a week after it launched) it had one million search queries per day. For some context, Google is doing around 1 billion search queries per day, so it’s not like Blekko is threatening just yet. But, as complaints from tech insiders about spam in Google results and content farms grow, indie search engines like Blekko and DuckDuckGo are getting more attention. 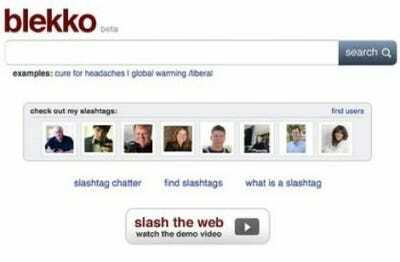 What sets Blekko apart are “slashtags”, i.e. user-generated lists of results according to themes. This adds an element of human curation to search. Bekko says it has over a million slashtags if you include “/likes slashtags” which are automatically created when someone signs up via Facebook. Right now most people don’t believe search to be broken, but if and when the spam problem gets worse, it won’t just be the digerati who are annoyed at Google. After all, Yahoo was said to be just as invincible until Google came out with a better mousetrap.